Here’s a Japanese sleeve I’m working on. 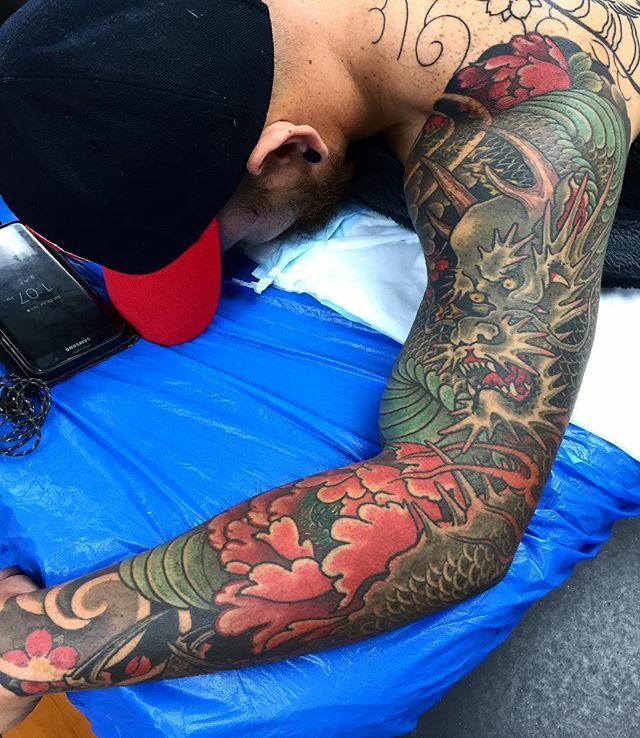 Japanese sleeve featuring a dragon and hannya complete. Goat/snake/demon wrapping around a calf.